How the world views advertisements is slowly beginning to see a change. Technology has allowed it so that companies can reach their audience through various means such as having specific ads be played when consumers walk into a shop or display a particular commercial on screens when pedestrians cross through streets. Another form of advertising is in-car advertising, which has already been executed internationally. But now it has hit the shores of Malaysia and it could potentially spark a new trend within our community. 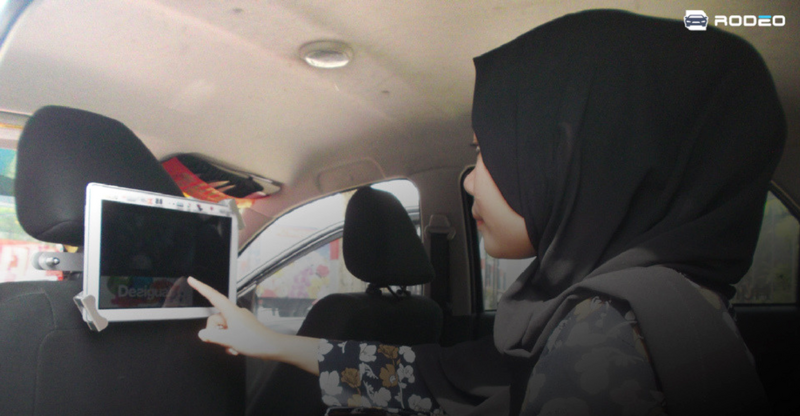 Rodeo is a digital advertising firm that have created an interactive in-car advertising platform, making it Malaysia’s first foray into this form of advertising. Malaysians. 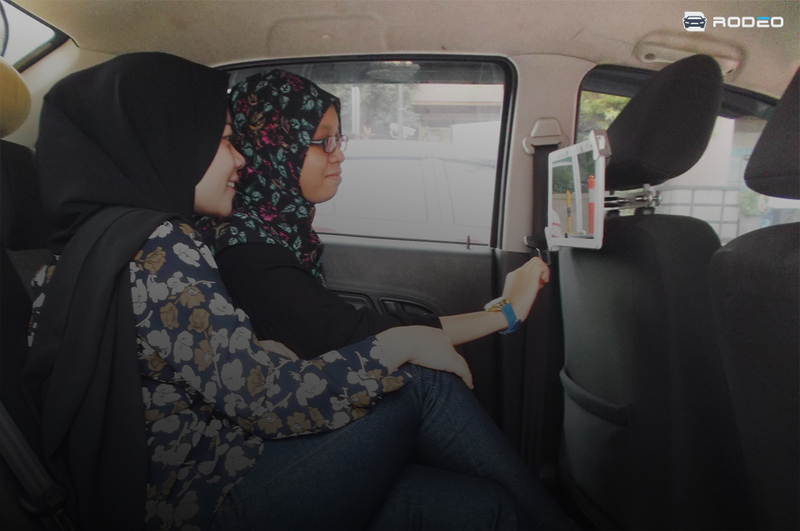 What the startup plans to do is recruit ride-sharing drivers to place advertising in their vehicles via headrest-mounted tablets. Rodeo installs 10.1 inch HD tablets at the back of car seat head rests which allow passengers to interact with brands, offers and promotions that may catch their eye. Using geo-fencing technology, the tablets will be able to display brands that are relevant to the location and in return help with maximising brand exposure. Rodeo’s digital out of home (DOOH) media applications also present engaging news and public service announcements. The advertising slots are sold in blocks of 16 which is their maximum number and will run on a continuous loop. Every advertisement will show for 15 seconds. “In terms of reach, ride-sharing cars have a huge potential because the passengers are likely to be white-collar workers and yuppies,” said the CEO of Rodeo, Valens Subramaniam. Currently they have Lenovo onboard as their tablet sponsor while Life Inspired is the content partner. This means that the screen will display 60% content from a selection of lifestyle programmes on the channel and 40% ads, with a 10-minute loop. “Passengers will be able to mute the programme for 10 seconds, but the audio will return to 50 percent level after that, so the programme will always be running in the background,” said Valens. A few of their other clients that have signed up with their service include Sling Apps, Zepto, Rainfilms, and eBizu. Should a passenger be interested in an advert, the interactive platform lets them provide their contact details to ask for more information. These leads will be funnelled through to advertisers in real-time where clients can track customer data to understand their target audiences. Aside from advertisements, Rodeo’s DOOH system also presents vital public service announcements and real-time information such as police reports on crimes or missing persons, which can help resolve these issues quicker by increasing the reach of information being spread. One of my earlier concerns was how the ride-sharing companies would feel about this, as there was a report back in 2015 that had advised Uber drivers against getting themselves involved with this industry as to maintain the comfort of the passenger no matter what. Valens says that they deal directly with drivers from various ride sharing platform and how the driver who owns the car can make their own decision on what they wish to put or fix in their car. “This is an excellent opportunity for advertisers to maximise their reach and generate real-time leads. Passengers also benefit greatly, given that they are bound to be intrigued by the hi-quality promotions and offers that appear in front of them during their journey,” said Valens. Rodeo also provides incentives scheme for drivers to earn anywhere between RM200 to RM800 a month which will ease their daily operation cost and assist them in meeting their daily KPIs. With strategic partners including Shell, BP Castrol and toll operator Touch ‘n Go, Rodeo offers drivers a monthly allowance of RM100 and those who drive more than 150 hours per month receive petrol vouchers as incentives. “It is my goal to expand to other Malaysian states and South East Asian countries over the next two years. The potential for growth is something to look forward to, as DOOH media stands to be worth over $US60 million to the Malaysian economy by 2019,” said Valens.